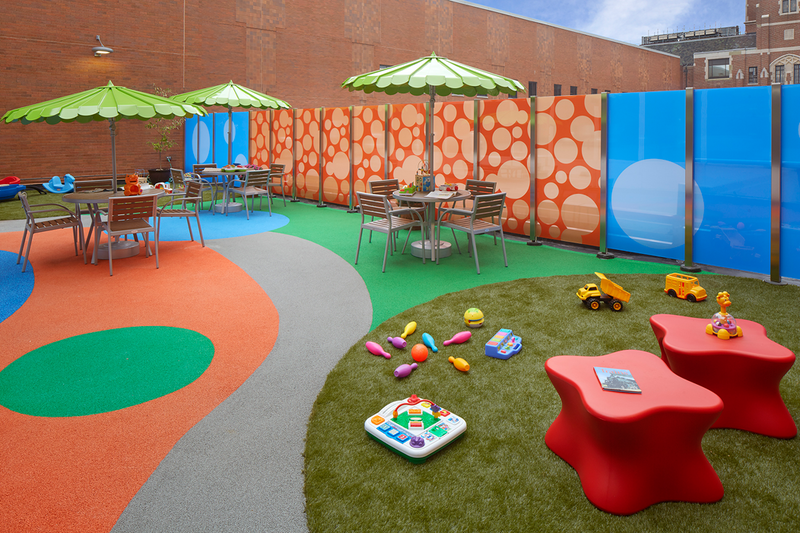 The Children’s Hospital Playdeck, located in Springfield, MA is 2,326 SF indoor/ outdoor area dedicated to play and learning. 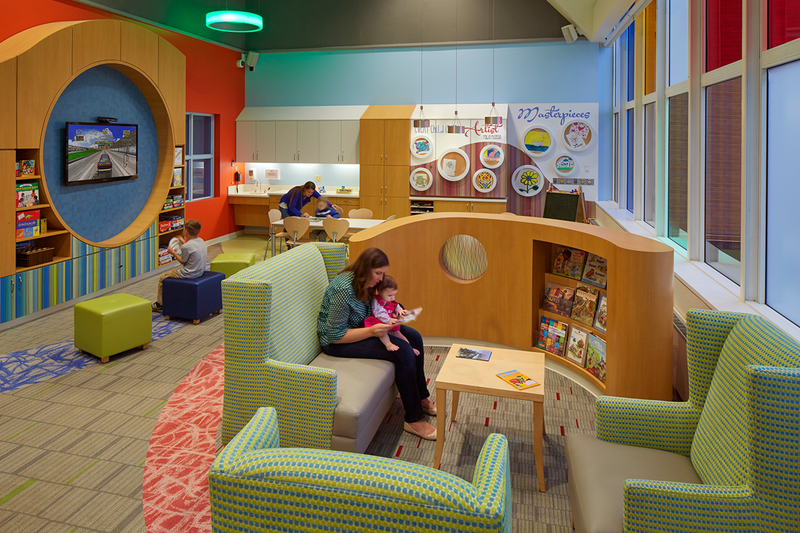 The design goal of Children’s Playdeck project was to not only renovate the entire space, but to reimagine the indoor and outdoor area. 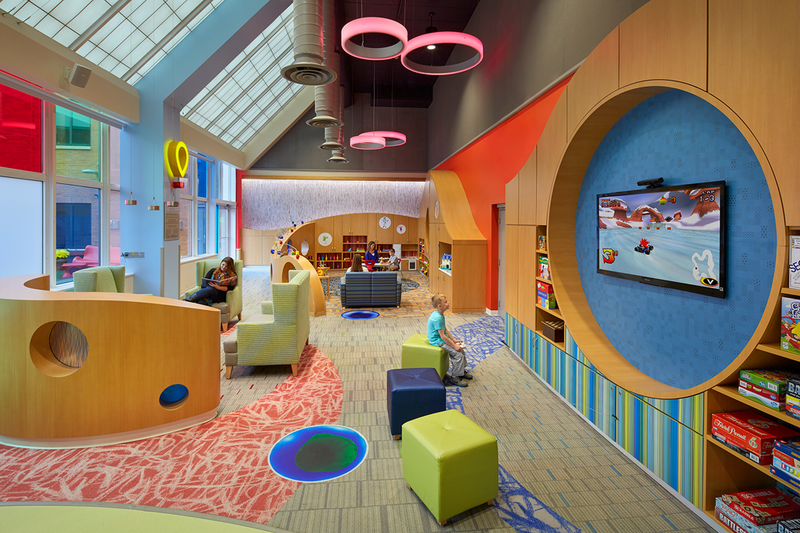 The fully renovated Playdeck, at the heart of the Baystate Children’s critical care area, provides a whimsical retreat geared toward imagination for children of all ages.